UFS is short for ‘United Friendly Societies’ and we share a history in New Zealand that dates back to the 1840s. Long before the advent of the welfare state in the 1930s, many people joined together to form what were known as ‘friendly societies’ to provide mutual aid and support. This included medical, income protection and funeral benefits. These friendly societies often ‘united’ to provide pharmacy and other services in their local community. The address has changed but the service hasn’t. 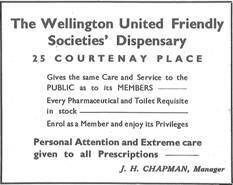 UFS pharmacies were established in Wellington in 1894 and in Porirua in 1963. 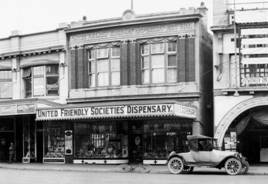 There are also other society-owned pharmacies in Napier, Hastings, Blenheim and Invercargill. All UFS pharmacies exist to benefit their members.